Can animal-assisted therapy can help adolescents who are in hospital because of an acute psychiatric crisis? A randomized controlled trial investigates. The study, conducted by a team of researchers led by M.C. Stefanini of the University of Florence, randomly allocated patients to either an animal-assisted therapy intervention or no intervention. Both groups continued to receive psychiatric treatment as usual, and those treating them did not know which group they were in. The results are very promising. The intervention group had better school attendance, higher levels of global functioning, and spent less time in the hospital compared to the control group. "One possible explanation for this success is the role of the animal as a catalyst in the therapeutic process," the researchers write. 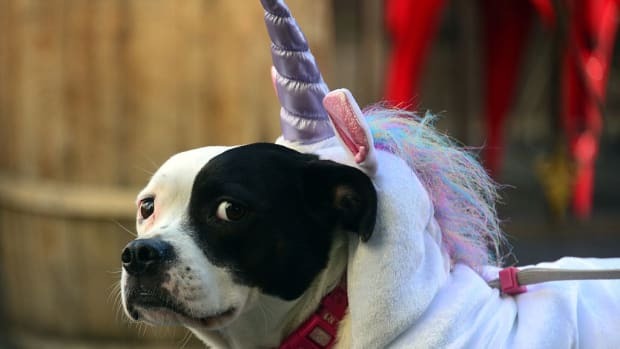 "Animals may represent a valid help in therapeutic contexts thanks to their ability to catalyze social interactions and to create a more relaxed environment." Although many people believe that animal-assisted therapy can help people with psychiatric problems, there have been limited studies using randomized controlled trials. The animal-assisted therapy involved a 45-minute session once a week. Activities included getting to know the animal and its handler, grooming, cleaning, basic obedience, and agility. It took place in the garden when the weather was nice, and in a room inside when it was wet. As well as individual sessions with the animal and handler, there were group sessions with others taking part in the program. Every session was videotaped and coded. The recordings show that, over time, the adolescent interacted more with the dog and showed it more affection, showed more social behavior with adults and peers, and withdrew less. More research is needed to understand how animal-assisted therapy works, but the researchers write that "the young patients who feel fragile, needy and dependent on others in the hospital context, can experience themselves as caretakers of someone else in the AAT environment. This experience can improve their sense of self-agency and self-cure, and these positive effects are not only limited to the human-animal bond, but can be extended to the patient’s global functioning and to the entire process of care." Thirty-four patients took part, of whom 17 were assigned to each condition. There were no differences between the groups in terms of functioning, school attendance, hospital care, or demographic variables at the start of the study. The most common diagnosis was an eating disorder (65 percent), followed by mood disorder (21 percent) and schizophrenia (nine percent). More than half had another psychiatric diagnosis as well, and about a quarter had previously had psychiatric treatment. 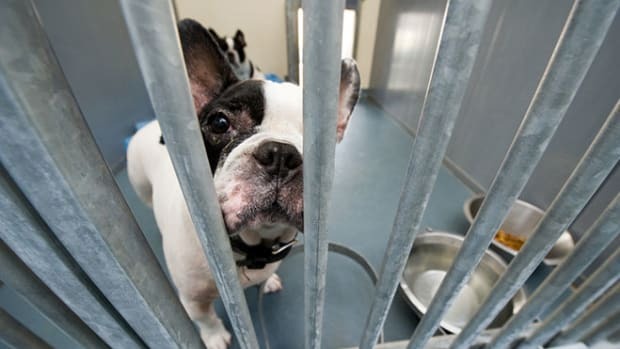 Patients were excluded from the study if they were afraid of dogs or allergic to them. The assessments, including a standardized global functioning scale, took place on admittance and again after three months. The children’s global functioning scale is an assessment of the extent to which they can take part in everyday activities, and whether or not they have impairments such as self-harm, suicidal thoughts, or aggression. One limitation to the study is the small sample size and the fact that only one hospital was involved. 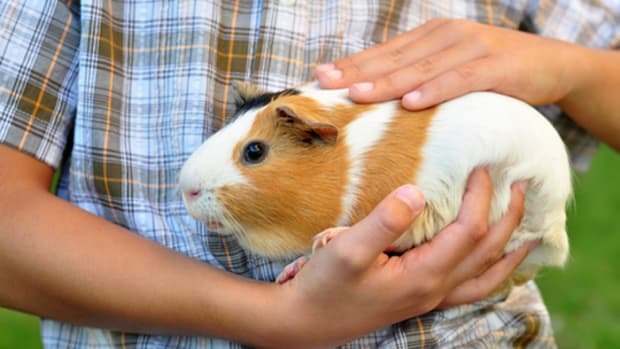 In future research, it would be nice to also see a control sample that undertook an activity similar to animal-assisted therapy but without the presence of an animal (e.g., equivalent time spent in the garden or indoors with an appropriate adult from outside the hospital). 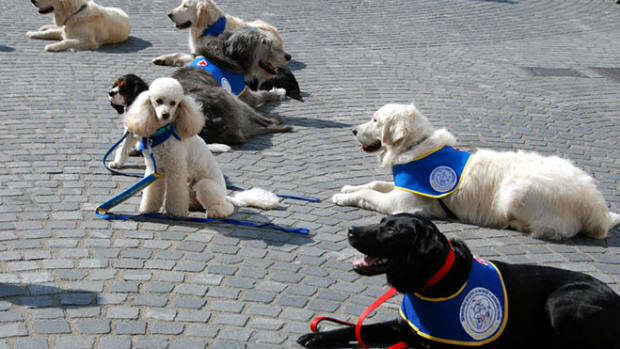 The dogs that took part in this study were from the Guide Dogs for the Blind in Tuscany, and trained following the Pet Partners (formerly Delta Society) guidelines. 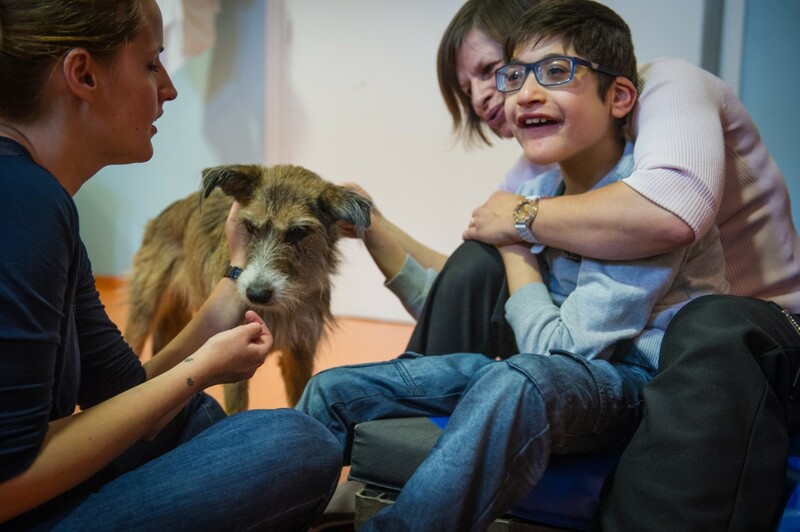 If you think your dog or other pet might be a suitable candidate for animal-assisted therapy, you can find out more by visiting their website. 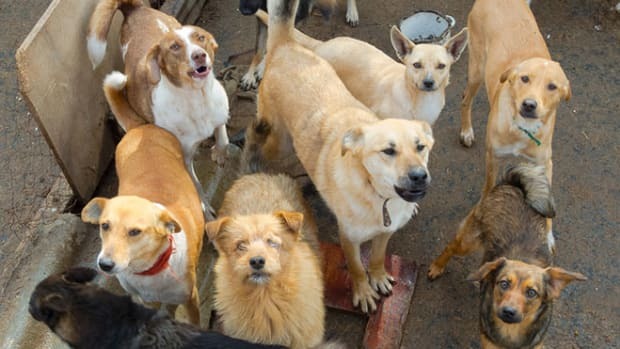 Animals must meet the prerequisites, which include being healthy and house-trained, knowing basic obedience, and having no history of aggression. Even llamas, alpacas, and pot-bellied pigs can become therapy animals.